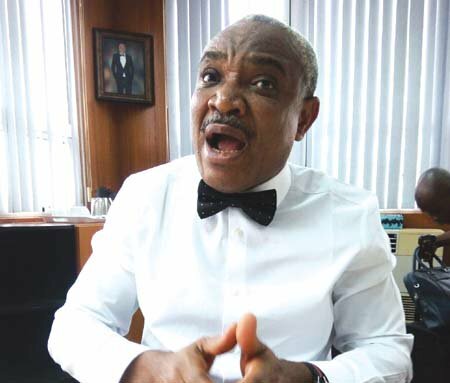 For over a year, the Chairman of the Special Presidential Investigation Panel on Recovery of Public Property (SPIP), Okoi Obono-Obla, has continued to run the panel in contravention of multiple presidential orders, PT can report. At least three letters were, within this period, dispatched to him to either soft-pedal in what was perceived as excessive use of authority or stop all the activities of the panel. in 2017, instructed Mr Obono-Obla to stop carrying out activities until President Muhammadu Buhari instructs otherwise. The letter reminded him of the provisions of Section (1) 1 of the recovery of Public Properties Act from which the panel derives its power. From the same office, another letter was issued to Mr Obono-Obla one month after, stating his confines as SPIP boss. This was followed by a series of other cautionary letters. But despite these, Mr Obono-Obla has continued to carry out his duties in violation of his statutory mandate and in disregard to warnings. The SPIP was set up in August 2017 by the then Acting President, Mr Osinbajo. The panel led by the Special Adviser to the President on Anti-corruption, Mr Obono-Obla as chairman, has three other members and a secretary. The Act setting it up makes provisions for the investigation of the asset of any public officer who is alleged to have been engaged in corrupt practices, unjust enrichment and abuse of office, or anyone who breaches the Code of Conduct for Public Officers in the country. However, just two months into its establishment, the panel was deemed to have derailed and hence, was cautioned. On October 20, 2017, Ade Ipaye, the Deputy Chief of Staff to the President, wrote the Attorney-General of the Federation, Abubakar Malami, through the office of the Vice President. “As envisaged by this section, it is for the President to specify the purpose or mandate of the panel. It, therefore, came as a surprise that Chief Okoi Obono-Obla had issued notices to several judges to declare their assets without receiving any specific mandate in that regard,” the letter further reads. Apparently, due to a disregard of the first letter, the Vice President wrote the AGF again as a reminder on November 17, 2017. The reminder came with specifics. 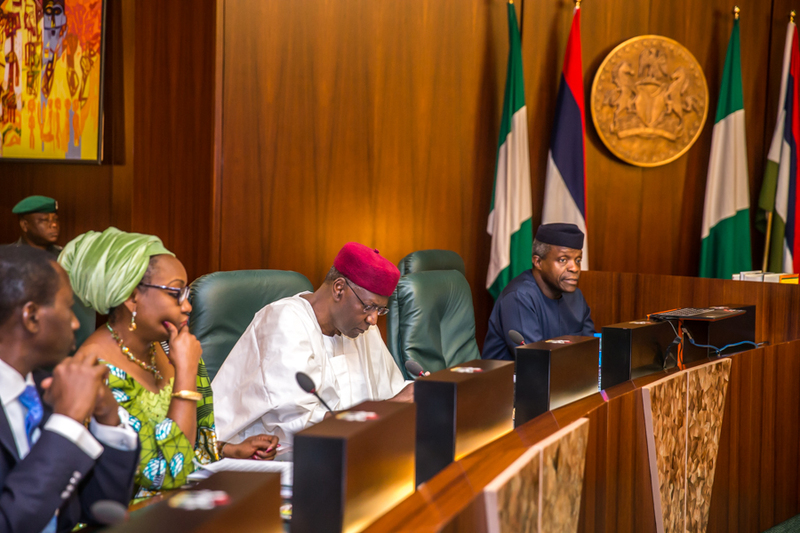 In addition to these, the presidency expects the panel to regularly give updates of its activities and recoveries. Mr Obono-Obla replied the first in a letter addressed to the vice president on November 10, 2017, wherein he stated that none of his actions was intended to disrespect the vice president’s authority. “I also understand and align with your directives that the panel can only act on a written mandate received from the Presidency, and will seek authorisation from the presidency to undertake fresh mandates in accordance with extant laws of the federation,” the letter reads. Despite his reply, sources say the SPIP boss continues to run the panel without recourse to the presidency. This development forced the AGF to again write the vice president. The letter dated March 16, 2018, noted that Mr Obob-Obla was still operating in contravention of the vice president’s orders. The AGF said his office had received at least five petitions against him. Issues raised in the petitions were part of the activities the panel carried out without taking directives from the Presidency, even after warnings. The Vice President’s office responded by directing the AGF to request Mr Obono-Obla to respond to the issues raised in the petition, explain why he disobeyed the vice president’s order and submit a detailed report of activities of the panel since inception. Following complaints of unauthorised activities of the panel, Mr Obono-Obla in a January 25, 2019 letter was asked to suspend all activities of the panel until further directives. The letter, a copy of which was seen by PREMIUM TIMES, made references to earlier ones informing Mr Obono-Obla of his excesses and consequent warnings. 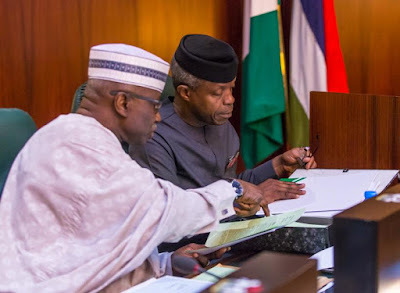 “Despite the foregoing, the office of the Vice President has been inundated with complaints from various sources, including members of the panel, regarding allegations of unauthorised and illegal activities of the Special Investigation Panel on Recovery of Public Property,” the letter signed by Ade Ipaye reads. “In consideration of the forgoing, I am directed by His Excellency, Prof. Yemi Osinbajo, SAN, Vice President, Federal Republic of Nigeria, to instruct you to immediately cease all activities, pending an ongoing review of the SIP mandate and further directives of His Excellency.” Despite the clear directives of the letter, however, Mr Obono-Obla has continued to carry out activities of the panel. Despite the January letter conveying a direct order to Mr Obono-Obla to seize all activities, the SPIP boss has continued to run the affairs of the panel. Sources privy to these activities told PREMIUM TIMES that the SPIP has been functioning as of before. Apart from ignoring the vice president’s directives, Mr Obono-Obla has continued to work without recourse to superior authorities, another source said. Multiple sources who have related with the panel also confirmed that the panel still uses a letterhead bearing ‘presidential’ as part of its name. “It’s an investigative body. You can even investigate the president himself. So, the name is not supposed to bear presidential, any action taken will appear as if the president is going after someone,” the source said. Apart from ignoring repeated presidential directives, Mr Obono-Obla has also side-lined the three other members of the panel while delegating their duties to his trusted assistants, PREMIUM TIMES learnt. Rather than call for panel meetings to deliberate on issues before taking actions, as expected by law, sources close to the panel confirmed that Mr Obono-Obla runs teh place like a sole-adminitrator without consulting other panel members. When PT contacted two other members of the panel, they declined to comment on this report. Despite the January directive, Mr Obono-Obla has continued the panel’s operations. The panel has continued with the prosecution of Adedayo Thomas, executive director of the National Film and Video Censor Board (NFVCB), who was arrested for allegedly stealing a multi-million naira generator set. He has been granted bail. Mr Thomas was arrested after SPIP recovered a Turban generating set in Lagos on November 13, from where he allegedly sold it. Apart from this, the panel has continued its legal battle with the Nigeria Football Federation (NFF) officials over an allegation of mass corruption in the country’s football house. Mr Obono-Obla justified his actions when contacted on the myriads of allegations against him. The SPIP boss said he would not comment on his response to petitions against him and requested for a copy of the petition from the AGF for him to respond to the alleged breach of the Vice President’s directive. “I will not like to talk to the media about this. These are official issues,” he said. He confirmed that the panel still uses letter head bearing ‘presidential’ but justified it on the mode of communication on the change. Mr Obono-Obla also suggested that he was not bound by the the vice president’s directive but only by that of the president. “The panel was appointed by the president and the panel reports to Mr President. I’m not aware of those communications (to cease activities). Otherwise, the letter should be written by the chief of staff to the president. :If you look at the law, it (the panel) was appointed by the president and the panel is supposed to be reporting to the president by virtue of the law. I’m not aware of those communications,” he said. Both offices of the Vice President and AGF did not respond to inquiries by Premium Times. Laolu Akande, the media aide to the Vice President did not respond to questions.